The Afrika Film Festival, organized by FilmInitiativ and held from 15-25 September 2016 in Cologne, Germany, had as its focus for the 14th edition, “Sisters in African Cinema. Women were visible in all spheres of the festival—on its organisation team and its advisory board for the Fokus film selection, the patrons of the 14th edition were Mallence Bart-Williams (and her brother Patrice), the opening ceremony featured the live band “Sisters”, and German-Ghanaian Esther Donkor read excerpts from her book, Wurzelbehandlung - Deutschland, Ghana und ich, an autobiographical journey to her father's homeland, Ghana. Stories by and about women, a dominant theme throughout the festival was evident in the overall festival selection of films. 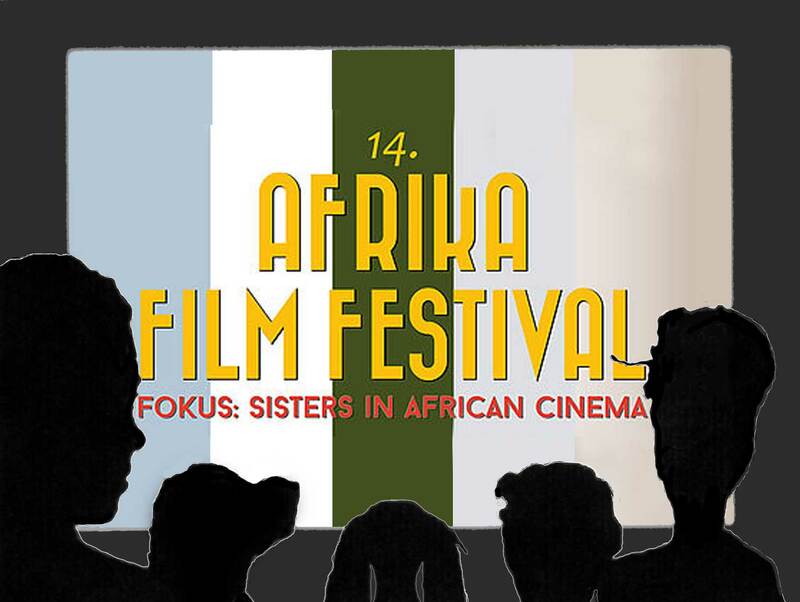 Of the 83 films from 25 African countries, 33 were included in the Sisters in African Cinema selection, some of which were screened during follow-up events beyond Cologne in other cities in Germany. Among the thirty-three women-directed works were autobiographical films and those reflecting the politics of identity, such as La souffrance est une école de sagesse by Astrid Ariane Atodj and Akosua Adoma Owusu’s Kwaku Ananse; women’s biographies and films relating women’s movements in the context of feminism and womanism, such as The Art of Ama Ata Aidoo by Yaba Badoe, Feriel Ben Mahmoud's Feminists insha'allah - La révolution des femmes, un siècle de féminisme arabe and Sisters of the Screen: African Women in Cinema by Beti Ellerson. Reflected in women’s transnational, exilic and diasporic experiences are their immigration stories, which include Ta Mère by Touria Benzari, Raja Saddiki's Aji-bi les femmes de l'horloge, Les gracieuses by Fatima Sissani, Hadja Lahbib's Patience, patience, t'iras au paradis! and Gay Enough by Hawa Sanneh and Anna Fundin. Several films recounted very tender, touching stories from the perspective of the girl child, such as Monique Mbeka Phoba's Soeur Oyo, Maman(s) by Maimouna Doucouré, Maryam Touzani's Aya wal bahr, Amirah Tajdin's Minerva’s Lilies and Soko Sonko by Ekwa Msangi. Others told coming-of-age stories, such as A peine j’ouvre les yeux by Leyla Bouzid, Marguerite Abouet’s and Clement Oubrerie's animation film Aya of Youpou City, Ayanda by Sara Blecher, Rahmatou Keita's Jin’naariya!, Kwaku Ananse by Akosua Adoma as well as Ta Mère by Touria Benzari. Also included were films reflecting a woman’s gaze on masculinity, male sexuality and intimacy, such as Alice Diop's Towards Tenderness, Boys of Soweto by Meja Shoba, and another film by Akosua Adoma Owusu, Reluctantly Queer. Françoise Ellong's W.A.K.A. relates the complexities in the perception of woman and mother. Mai Mustafa's Ishtar and Isis, Le challat de Tunis by Kaouther Ben Hania and Dis ek, Anna, another film by Sara Blecher, break the silence of abuse against girls and women as well as divulge misogynistic attitudes and practices in society. Youth, change and society is a common theme in Sarra Idris's Adams and Howa, and a theme that is prominent as well in Leyla Bouzid’s A peine j’ouvre les yeux. Moreover, in Randa Maroufi's Le Park the subject of youth, change and society intersects with the ubiquity of social media and new technologies. Race and class, a recurrent theme in South African films is prominent in Vicki Kisner's film Sheila. Artistic imaginaries are the common thread in the storytelling practices of Colleen Alborough (Balance), Anna M’barek (Nuit blanche) and Wendy Bash (Les rumeurs du lac). Hence, the representation of African women filmmakers throughout the continent and the diaspora and the diversity of their films show the depth of their imaginary, the breadth of their écriture and the complexity of their cinematic gaze. The Afrika Film Festival focus, Sisters in African Cinema, invoked the company of kindred spirits converging on a shared experience—cinema. African women in cinema far from being a monolith, is wide-ranging, plural, diverse and multi-faceted. Moreover, the discursive intersectionality of African women’s cinematic storytelling is derived from their active participation in their societies, the continent as a whole, extending to the transnational locations of the global African diaspora. A key feature of the 14th edition of the Festival was the Sisters in African Cinema Roundtable moderated by Beti Ellerson (USA), featuring Leyla Bouzid (Tunisia), Françoise Ellong (Cameroon), Judy Kibinge (Kenya) and Monique Mbeka Phoba (Democratic Republic of Congo). The 1-hour-45-minute dialogue with simultaneous translation in French and English (and German for the audience) enhanced the spontaneous exchange among “sisters”, enabling a rare in-depth cross-continental/transdiasporic discussion. The roundtable setting ensured a friendly, welcoming space in which to share and dialogue. Below is an excerpted transcription of the roundtable* in English. Beti Ellerson (in English): Exploring the notion of a sisterhood in African cinema I would like to pose the question, “where do you position yourself in the context of a “sister in African cinema”? Does it exist for you? To what extent is it a reality or an idea? What could a sisterhood in African cinema be, in an ideal situation? Judy Kibinge (in English): The term invokes an idea, something that we are heading towards. I feel a sense of sisterhood every time I meet an African female filmmaker. You are joined in purpose. But having said that I don’t feel the existence of a big network because I feel that things keep us from that network, language for instance. I wish that we could take this translation booth and headphones to breakfast even. Because there are so many things that you want to say and there is a distance caused by language, at festivals for instance. But despite that, when you speak with sisters, with filmmakers, who create these pieces like you, there is definitely an immediate kinship. Françoise Ellong (from French): The first time I felt this sisterhood is when Véronique Doumbé [Cameroon and Martinique roots) included me in a Facebook group called, “I’m African, I’m a Woman, I Make Films”. And in this group I could connect with many, many women who were filmmakers. And then I became aware; because before then I had not had a vision of the notion of a sisterhood. This discovery aroused my interest to know more about a woman’s perspective in filmmaking. They come from diverse countries, with different backgrounds, different experiences. I had the sense of belonging to a group that protects and supports. Where we learn about each other’s projects and experiences. Leyla Bouzid (from French): For me this notion is rather abstract. I am not sure if it actually exists. I am thinking about it in the context of today’s reality. I am not sure if it is relative to the situation in the Maghreb, in North Africa. I am thinking about the many women filmmakers in Morocco and in Tunisia. I am lucky to come from a country where there is a tradition of producing a significant number of women filmmakers. And where cinema is also considered important. I am not sure if there is a “sorority”, but I do know that there is a female sensibility that is very strong. I must admit that I am not very knowledgeable about the cinema of women of sub-Saharan Africa, and have not had the opportunity to see many films. However, I did have the chance when I attended the Journées cinématographiques de la femme africaine (The Film Festival of African Women) in Burkina Faso, which meets in alternating years with Fespaco. And also since films are not very accessible this notion remains rather abstract. And if it did exist what should it be: a possibility to view these women-directed films, to be able to be influenced and nourished by them, that they be part of our personal film archive and that we are able to discuss among ourselves. This is big a lack for me. Beti Ellerson (in English): Twenty-five years after the 1991 historical event at Fespaco, 20 years after the start of my on project of Sisters of the Screen, then the creation of the African Women in Cinema Blog in 2008, and now through this roundtable, I continue to have the desire to keep the vision of a pan-African network of women alive, to debate, communicate and discuss. Beti Ellerson (in English): The festival focus had the intention to bring together this continental perspective and unfortunately Sara Blecher from South Africa was not able to attend…And now reflecting on Martina Backes question during the Sisters of the Screen Q&A about what would I add at to the film if it were today, I would say with the “ollywood” phenomenon taking hold in Africa: Nollywood, Riverwood, Ghollywood, etc. These practices, which were not in existence 20 years ago, are definitely part of the discourse today. Now to talk about “African cinemas” in the plural, what does this identification mean to you? To what extent does it enhance or obstruct your own identity as a filmmaker/cultural producer? How would you define African cinema? Françoise Ellong (from French): I don’t like the term “African cinema”, as it gives the impression of only one type of cinema. I prefer the description “African cinemas”, where I would actually situate myself. I wrote for a magazine and every Sunday I had as objective to have the readers discover an African film…And this is how I discovered the diversity of African cinemas... I observe that African films are very engagé, socio-politically committed, with strong images, a focus on change, often “auteur” films. I have often wondered if there is the possibility to bring together a balance between entertainment and this commitment… Many of my friends have a pessimistic vision of African cinema. They say that one leaves a movie theatre feeling depressed, etc. They prefer to leave with a sense of enjoyment, which contrasts with African films, which are too heavy. I understand their sentiments, there is this persistence of demanding messages, and though while important and necessary, they are overwhelmingly so. I envision an African cinema that wants to show another vision of Africa. I think that it is very important. My latest film focused on a particular personage, though I do not want to do this with my next film. I want to make a thriller, to do other things. With my first film I realise that I entered into this film category of giving a message, problematizing. For me the word that comes to mind with the term “African cinema(s)” is engagement, socio-political commitment. When I look at [Sisters of the Screen], it reflects the kinds of films that are made in Africa. They are [“warriors”], leading a combat, with a desire to make change, they want to educate. It is very forceful. However, I think that the new generation of spectators are looking for other things. And while they may be presented these themes, in addition, there must be something more entertaining. Judy Kibinge (in English): African cinema, hmm. There are so many Africas in a way, there are so many realities. Cape Town is not Douala, is not Nairobi, is not Lagos. You can go on and on with so many countries, we are over 54 countries. And in my country alone in Kenya we have over 48 different tribes speaking distinctly different languages. And so a Maasai film will not be the same as a Kikuyu film. And so for me it becomes a bit difficult to give this general feeling of what African cinema is. And even the challenges behind them are singular challenges and are not the same challenges. In South Africa they have enormous government-supported fund that enables scores, dozens of filmmakers each year to make their films. So that is why you begin to see South Africa producing all of these Oscar-winning/nominated films. But maybe there is one example that I suppose might summarise the perception of what for a long time African cinema was, and that I made my first feature film in 2002 and I think it was really in a landscape where as [Françoise] said, the film had to be very heavy, that always had to tackle social issues. My producer, who is Kenyan but had been working for a long time as an executive producer in Hollywood, we made a film that was set in Nairobi. It featured young professionals, it was about relationships, it had a lot of club scenes, it had our leading Kenyan musician singing in these clubs, it had infidelity, it had people smoking and drinking and so on. It was not an invented reality; this is Nairobi. I was taken aback when a French journalist asked me, “why are you trying to make a European film?” I looked at him and I thought where does this man think I live, on a tree? We have clubs in Kenyan, people cheat on each other; they actually drink wine in Nairobi. I think at one point there was this perception that African films had to be set in a village, had to have a girl-child and had to have an old man talking to a goat. It does not have to be that, there are so many ways, there are so many people, there are so many lives, there are so many stories, and that’s why we are as diverse as we are and we need to tell these stories. And the very fact that they are set in Africa is what makes them, I think, African films. Leyla Bouzid (from French): I agree with both of you that it is very difficult to talk about an African cinema, even if we put it in plural form we are still talking about the same abstract expression. It is as if there is a point in common even though the countries are different. I would like to see African cinema anchored in the terrain of world cinema, or just cinema period. There is very little discussion regarding a “European” cinema even though there are many different countries. Of course there are festivals with a focus on European cinema. I think African cinema should be situated within the terrain of cinema in and of itself, and of the cinematic language. To show things that we do not expect coming out of African cinema, such as thrillers, etc. For me paradoxically that which brings together African cinemas is their invisibility. In order to see these films one must be active and willingly involved. One must be knowledgeable, actively researching them. Even films like Touki Bouki are invisible. You both mentioned that at film festivals you were able to see other African films. For me too, most of the African films that I have seen, which are very few, were at Carthage (Tunisia) and Fespaco (Burkina Faso). In addition, there is not an exchange or film market established between these two countries. If there is not a public that is passionate about this cinema can we really say that it exists? One talks about Asian Cinema even though there are different countries. But people from these countries go to see these films, there is a demand. I hope that there will continue to be more and more filmmakers, where each filmmaker is anchored in her own cinema, and that there is a growing public. If there is a public that awaits these films then perhaps it can exist. But I think that if one must struggle to see these films, or must be in the right place, or at a specific festival, then it is difficult to speak about this cinema. Perhaps I am a bit pessimistic. Monique Mbeka Phoba (from French): I think what is interesting is to have a cinema that conveys Africa’s existence through African eyes. Perhaps it is a definition that is too broad. Though it is one that I understand, as it encompasses as well the diaspora as well as those who may not be African but who have a sensibility towards Africa. It is that cinema that allows us to say that Africa is alive, despite all the films that we see which wipes it out. I don’t understand why it is that I see films of an Africa that I do not recognise, which do not speak to me. But yet Africa is not hidden away, it is very visible. For instance the young Ghanaian woman on her motorcycle in the Afripedia series, I know a young woman like that, a bit outlandish, wacky, funny. There are plenty of people like that in Africa, but yet you do not see representations of them outside of Africa. This is how I describe African cinema, a cinema that is alive, not an Africa that is mortified, an Africa that is mythicized, an Africa that is museumized. Beti Ellerson (in English): I would like to now ask individual questions to each filmmaker as a strategy to enhance dialogue and exchange among us. Addressing the phenomena of new technologies and social media, and what I see as a game changer, I wonder if that is also your impression. I know that there are some millennials among us—those under 35. With Françoise Ellong for instance, we met through social media, and I even remember once having a 10-minute Twitter discussion together!! So I will address that question to you regarding social media, the Internet, new technologies and your experiences as a filmmaker. Françoise Ellong (from French): In fact, I find social media incredible. Even before the completion of W.A.K.A. I already had an enthusiastic public. I did my studies in communication and the role of media was an integral part of it…A lot of people do not know how to use social media. I studied it and particularly Facebook, in terms of how and when to post information in order to reach the maximum viewers. Also the specificities of the “Like” function…. When I began conceptualising the film project I talked about everything, my online community had the impression of accompanying me in making the film…I used crowdfunding to assist in funding the film…. I observed that there were those whom I did not know who were more actively involved then those who I knew…. Hence, I use social media as a professional tool, beyond the personal updates of the everyday. Social media has an extraordinary influence, which means that I no longer have to fight to disseminate information, as I have an active public who follows me…. The print media continues to have a role, but with young people it is social media that is most influential. Beti Ellerson (in English): Leyla you follow the footsteps of your father Nouri Bouzid who is a famous filmmaker from Tunisia and as you stated in an interview with Olivier Barlet, “it is not easy to not be in his shadow”. Talk about carrying the baton to your generation, and also how you have negotiated your own path, your own écriture. Leyla Bouzid (from French): My father is an important filmmaker in Tunisia and when I decided to go into cinema it was difficult to formulate my own identity in relationship to him, which is one of the main reasons, if not the reason that I left Tunisia to study cinema in France; in order to find my own way of working. I really took a distance from him, while at the same time we are close and continue work together. For my filmmaking it was absolutely necessary to take this distance. He is an important African filmmaker who began in the 1980s, very militant, who struggled a great deal. He has a very strong personality. And it is impossible to make a film while in dialogue with him. In fact it is difficult to make a film while in dialogue with another filmmaker. There are many greats among African male filmmakers and perhaps what is pertinent within this focus as “sisters”, is the search for our own emotions, our own sensibility, which does not mean that there is a specific female sensibility, but to have a sincerity in the manner in which we tell our stories, even regarding men, to get out of this paternal African cinema. Because there are these fathers in African cinema, I think, beyond my personal family. So I left and made a lot of shorts. And in these shorts I found my own path and I think that the journey of a filmmaker is to find one’s own way and one’s manner to say and tell them. I made the feature film far away from Tunisia which allowed me to have a distance…my father was prohibited from being on the set, except in a cameo appearance. And there are those in Tunisia who said, but I saw him in your film and I responded, but yes, I put him there, and when I was a little girl, I also appeared in his films…At the premier at Carthage he was able to discover the film and he was very happy. He stated that he was the grandfather of the film…it does not have to look like him, he did not conceive it. I think it is something anyone could experience. It could have been with any other filmmaker; it was above all to free oneself from a powerful influence that can obscure what one really wants to say. It was a more active and complex process yet a simple one. Initially taking a distance in my film studies. Of course in some festivals I am the daughter of…, but then others where he is not known, with this feature film, which is very different than his, I was able to find my own place. Beti Ellerson (in English): In my project Sisters of the Screen I tried to show the multifarious aspect of African women in cinema, as filmmaker, actor, producer, organiser, critic. Judy, you also wear multiple hats, you are a filmmaker and also founder of DocuBox, talk about these multiple roles. Judy Kibinge (in English): When you look at filmmaking from the outside and you say “I’m going to be a filmmaker”, you imagine being in the director’s chair, being consumed in this wonderful project. And a full-house audience when you’re finished. And bits of it are like that. But the reality of filmmaking, I think anywhere, not only on the continent, is that it’s hard. No sooner have you finished one film, you are worrying about distributing it. Because we have not cracked the whole issue of distribution, so you end up taking that film a little further than you would, in different market. And at the end of the day your landlord is calling you and he is wondering where his rent is, and you are wondering where his rent is, because you do not have it at that point. And then you grow up really quickly and begin to wear these different hats. For me who came from a very successful first career in advertising, as a creative director, for a big firm, who did a lot of brand advertising for brands like Coca-Cola for the continent. It was really being thrown into some very cold water after the euphoria of leaving and being my own person and not having a boss to tell me “do another campaign” and then the landlord became my boss. Yes you have these love projects that you want to create, but you quickly realise that you find that you need to take on corporate documentary work, and you need to take on commercial work, and you need to do all these different things, because especially we come from a region that does not have cultural support just to keep going. But I think as beautiful things begin to happen, you realise that this should actually not be a burden because as humans, change is growth, and of course every film is different. And every film is an enormous new learning experience. But sometimes to be put in the corner and forced to extend yourself, helps you grow as a person. So there are these hats that you wear to take on other work that you would not have expected to have done as a filmmaker or film director. And for myself part of the journey, was getting 10 years into filmmaking and feeling so exhausted by the fact that support was so difficult to come by and also growing so tired of blaming other people: oh the government should do this, oh somebody should come and save us, and at some point you realise that that somebody is you. Why not you? Why someone else? With creating DocuBox, which is actually the only East African documentary film funder. And actually to be honest I have not come across an organisation like it on the continent, but I do not want to claim to be the only one. You begin to understand fundraising and also managing other people’s projects. We have about 12 films in production now. And then it extended to screenings every month, and then now it extended to a film hub that we’re opening up, because I think that building a sense of community is important. And then that extends to learning how to be a more efficient fundraiser. And then that extends to figuring out how to work with universities and campuses. And with all that stretching I think that the unfortunate thing with me is that the last two or three years, my filmmaking which I love, has had to take a backseat. But this is also creation, creating a new space, this is also enabling many, many other creative wonderful film projects to be born, even if you, yourself are not the author. You do play a role in that creation. Beti Ellerson (from French) Monique you have now close to 30 years experience in African cinema having attended you first FESPACO in 1987, and you were an original "sisters of the screen" in my project which began nearly 20 years. Discussed your evolution, changes in African cinema in the context of your experiences as a woman. Twenty years after the conception of the Sisters of the Screen Project, which began in 1996, I was invited by the Afrika Film Festival Cologne to be part of Sisters in African Cinema to discuss the film Sisters of the Screen (2002), subtitled in German. I was delighted to find a new generation of viewers discovering my work. The Berlin screening of the film, organised by AfricAvenir and moderated by Peggy Piesche, was particularly fulfilling, as this was the first time in my 14 years of participating in a public screening of the film with a Q&A that there was a large audience of feminists of African descent. They engaged enthusiastically with the women in the film and the issues that they brought out. I was especially excited to discuss it with young millennials in search of African women elders as role models, which is how they referred to these wonderful sisters of the screen! One young woman talked about seeing her aunt and even great aunt among the women! I also realised the extent that the terrain of African women of the screen had expanded to encompass the many young Afro-German women who are using the camera and the screen to tell their stories, explore their identities, and to problematize their social location. The notion of “sisters of the screen” has even more significance today as the evolving screen culture encompasses the traditional movie and television screen, as well as the computer screen, the tablet and mobile phone. Hence, this global African screen culture enables a growing glocal dialogue between the African continent and its ever- expanding diasporas. *A thank you to Martina Backe for recording the roundtable. 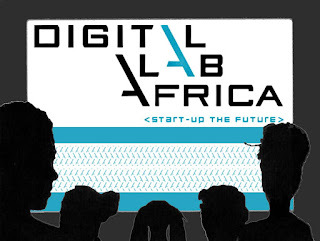 Digital Lab Africa 2016 call for projects: over 500 entries from 30 countries! 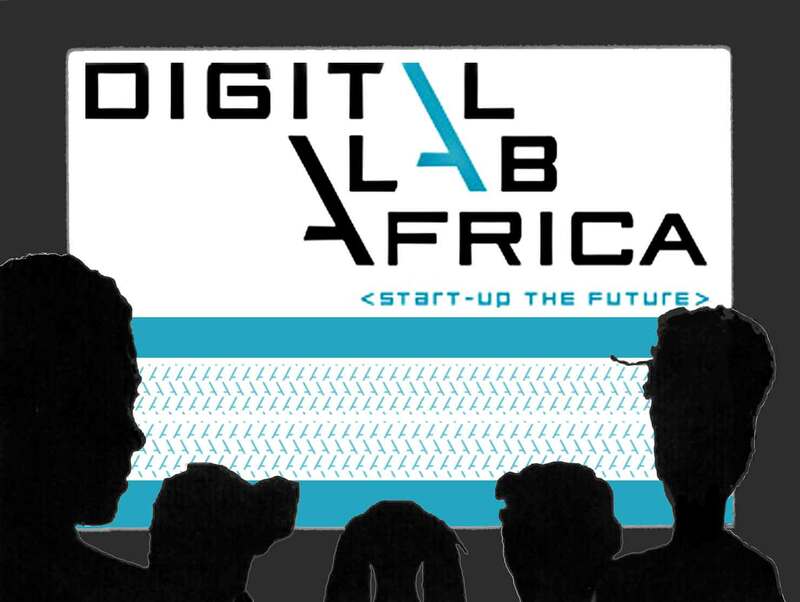 The selected projects will get a chance to win a 3,000 € cash prize and a Digital Lab Africa incubation ticket including mentorship and project development support by leading French multimedia companies (see list of partners below). Additionally, the incubation programme will comprise a 1-month residency in France within digital hubs and participation in benchmark multimedia events. The expected outcome of DLA is market ready content/productions showcasing African creativity at its best. 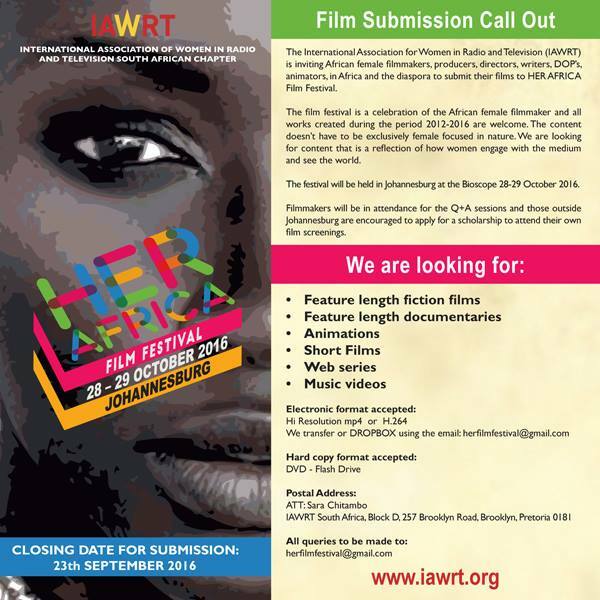 The International Association for Women in Radio and Television (IAWRT) is inviting African female filmmakers, producers, directors, writers, DOP’s, animators, in Africa and the diaspora to submit their films to HER AFRICA Film Festival. The film festival is a celebration of the African female filmmaker and all works created during the period 2012-2016 are welcome. The content does not have to be exclusively female focused in nature. We are looking for content that is a reflection of how women engage with the medium and see the world. 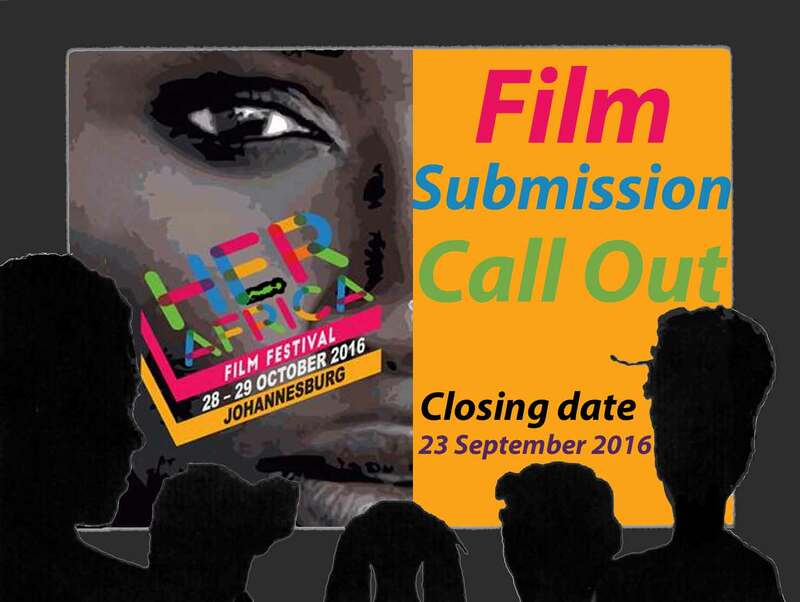 The festival will be held in Johannesburg at the Bioscope 28-29 October 2016. Filmmakers will be in attendance for the Q+A sessions and those outside Johannesburg are encouraged to apply for a scholarship to attend their own film screenings.